This entry was posted on February 19, 2017 at 8:32 pm and is filed under Paganism, The Path of Flames with tags Dolls, Familiars, Gateways, Goddess, Hecate, Occult, Occultism, Pagan, Paganism, Possession, Religion and Spirituality, Ritual, Sexual Magick, Stellar, Trident, Witchcraft. You can follow any responses to this entry through the RSS 2.0 feed. You can leave a response, or trackback from your own site. Beautiful ritual. 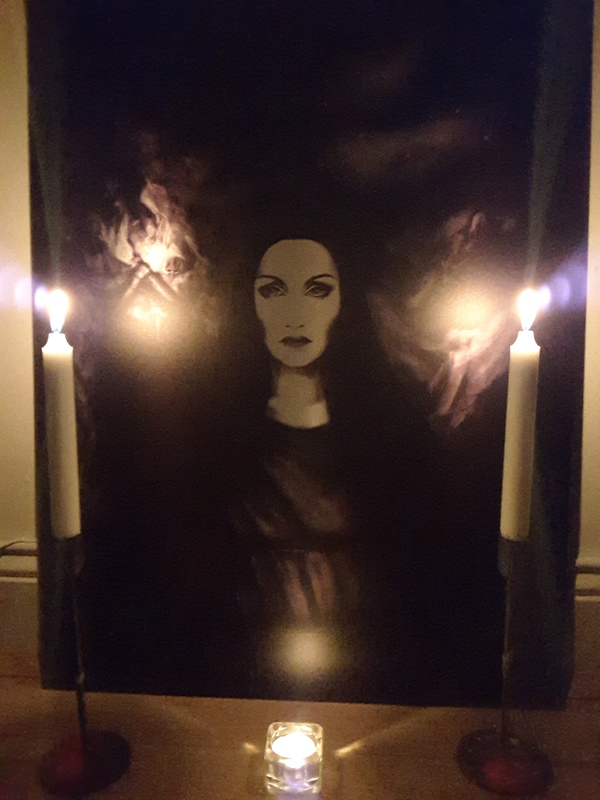 Hekate/Hecate is my Matron Goddess also. Although I work with other Godforms, Angels, Spirits, Daemons/Demons and the elementals as qwell as my sacred ancestors of course. Thank you very much for the comment, Im glad you enjoyed the post. I feel that we work with what we need to at different times in our path… its truly limitless, guided by her torches. Thanks for following the blog and commenting! I appreciate the support alot. I hope to have an article up again soon.. alot of amazing things have been happening, to the point ive been struggling keeping on top of it all. The next article I hope hopefully will lay out some interesting experiences with Hecates wolf spirits, and maybe if I can fit it in logically, with serpent familiars.